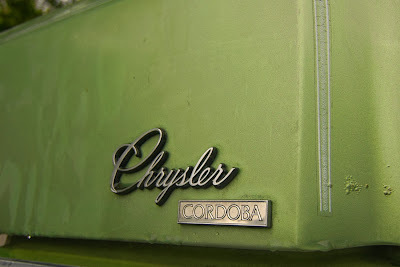 When I was a kid, we used to have a neighbor that was a big Chrysler Cordoba fan. So much so, he had 7 of them! Never understood the fascination, as I thought they were quite ugly. He also had the last version of it from the 80's that was very square looking. Thanks for posting it, as I have a lot of good memories of my old Neighbor Al. Like dem Jaguar-esque headlamps, before they went with retangulars on the later models. does it have the Corinthian Leather? "Of course, why not the best"
yuk. Cordobas are ugly. It's neither pimpy nor sporty, just somewhere inbetween with that dude from fantasy island whispering CORDOBA in your ear like it's some forbidden spiked cocktail that gets you high like never before. But it's just a load of chrysler crap going chuga chuga chuga at thirty miles an hour in some east side neighborhood. 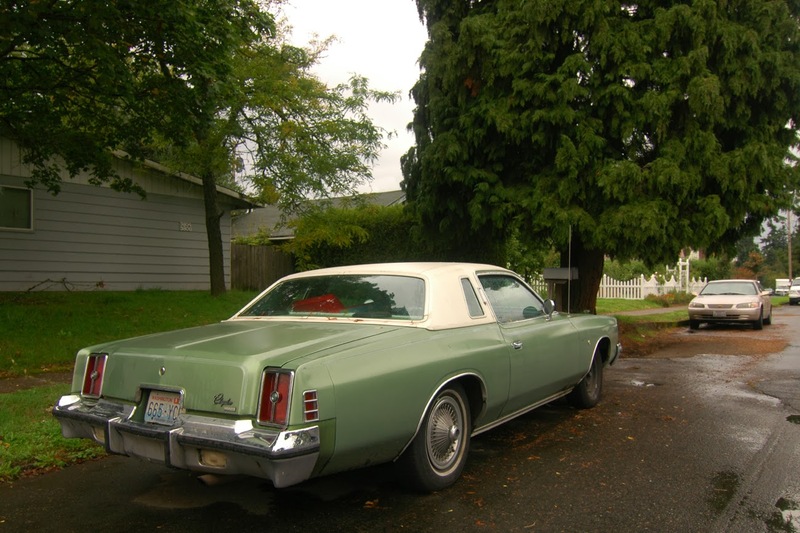 Too bad you couldn't get a good pic of the wall to wall green interior, hopefully with the soft Corinthian leather. Ah, the Cordoba, the epitome of Malaise era personal luxury coupes. the single most interesting aspect of this car is the fact that it has nine comments. well, i suppose that front-end treatment with the multi-sized headlights deserves a second look, but enduring the rest of the car to get there is almost too much work. although i do wonder what kind of person has the privilege of driving this on a regular basis. I think that I'm the only person in the world that LOVES Cordobas and would drive one around everyday. That 318 or 400 V8 and rich Corinthian leather, oh man. No, I really dig them too. 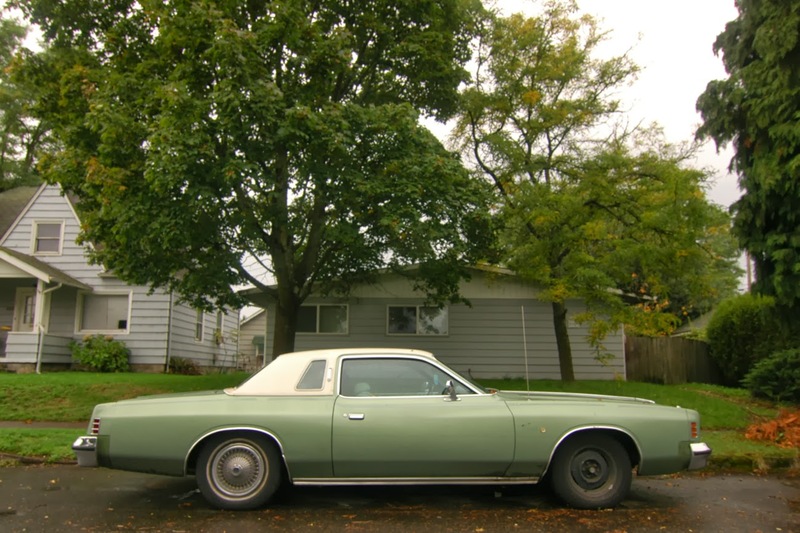 Our neighbor had one in that Chrysler bronze metallic from back then and when these were new and shiny I remember admiring the lines and they really were very nice inside. Little details like well designed switchgear & bezels always make a car feel more luxurious, your interface points inform you of the quality, perceived or otherwise. 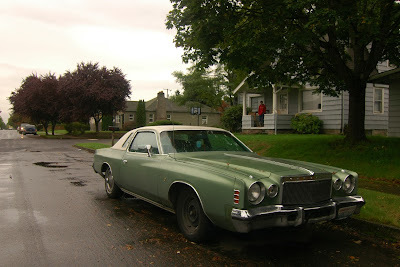 This car helped out Chrysler durning the mid 70's. I actually question if it even saved the company. Ford came out with Thunderbird starting in 1958, Buick Riviera starting in 1963 & Chrysler finally caught on in 1975. Imagine if Chrysler would've released a personal luxury car in 1968 when the Dodge Charger was restyled. It probably would've been on the same body. When I implied that Ford came out with the Thunderbird in 58', I meant they restyled the Thunderbird & made it a personel luxury car starting that year.